The sermon this morning was from John 19:17-42, the passage about the crucifixion and burial of Jesus. Pastor said that it unusual that after spending so many verses telling us what happened to Jesus who was before the Jews and Roman authorities after his arrest, the passage here on the crucifixion seem anti-climatic with the barest of words and descriptions. But I find that most remarkable. With just a short passage, the apostle John gave us the most important facts about the crucifixion of Christ. With the economy of words, every sentence and verse, are packed and deep with theological truths. You can practically spend your whole life just studying each and every of these 21 verses in John, let alone the other parallel passages in Matthew, Mark and Luke. When I watched movie adaptations of Jesus's crucifixion, I always thought it interesting that the Gospels did away with the emotions, feelings, and sensations of the event. With just two words in Greek, John wrote, αὐτὸν ἐσταύρωσαν, they crucified him. 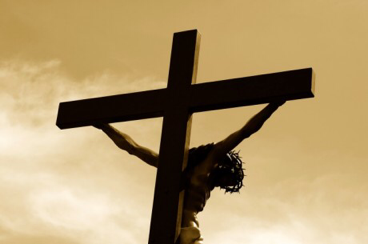 Was it not important how Jesus reacted, what he thought, and how he felt on the cross? Or was it something so painful and so unimaginable that Matthew, Mark, Luke and John chose not to describe it? I don't know but I believe that even with the barest of words and emotions, they are so important and theologically packed that it is what I need to know and believe in: that Jesus died for me, so I may live.